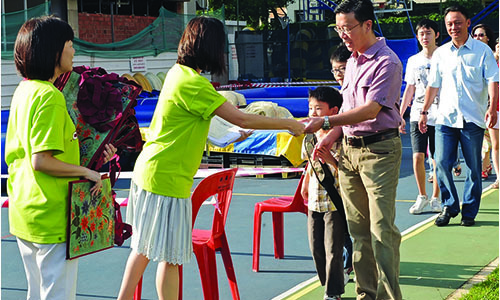 In his annual President’s Report, the Rev Dr Wee Boon Hup referred to several challenges TRAC faces. – TRAC picture by DANIEL LIE. “THE REALITY WE MUST FACE is that growth is not as rapid as it was in the last few decades,” stated the Rev Dr Wee Boon Hup, President of Trinity Annual Conference (TRAC), as he delivered his President’s Report on Nov 22, during the 36th Session of TRAC at Toa Payoh Methodist Church. 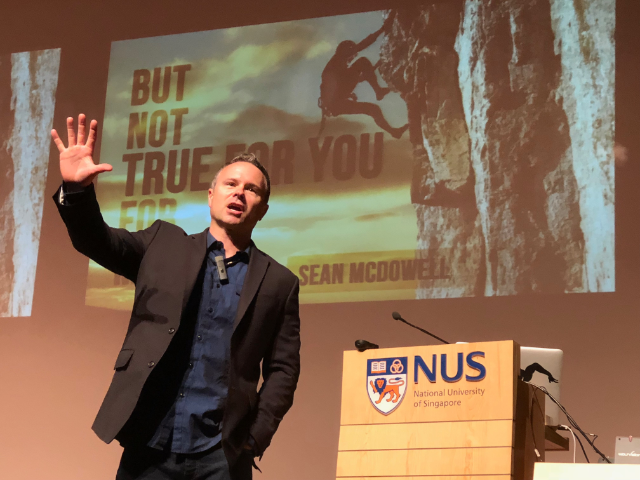 He was referring to the growth in membership within the conference, as well as Christianity in general, in Singapore over the past 50 years. His growth, which he credited to the work of the Holy Spirit through the ripple eﬀects of revival or renewal movements, faces new challenges in an increasingly secular, liberal and multi-religious world. As a result, there are increasing levels of resistance to the Gospel due to a variety of factors such as over-exposure to the Gospel or negative news of prominent Christians behaving badly. TRAC churches experienced an average membership growth of 2.4 per cent this past year, marginally higher than the 2.1 per cent rate of Singapore’s population growth, but also reflecting a marginal downward trend from previous years. The TRAC President’s proposed solution to reaching unbelievers who are already familiar with the Gospel is “through genuine friendship that demonstrates the love of God and His power to deal with the challenges of modern life”. He acknowledged that this “might take us a bit longer than before”, but pointed out how loving deeds that precede and accompany conversations on the Gospel enable church members to connect with unbelievers. Nevertheless, he reminded conference members not to use numbers as the only indicator to measure the health of churches. Other indicators must be included to give a clear picture of the church’s health, for example: Leadership (leaders being God-fearing, Spirit-filled, with integrity, humility and wisdom); Discipleship (church members developing Christlikeness, intentional nurturing and equipping the laity for ministry); and Evangelism (church members reaching out and impacting the world in love). A challenge TRAC faces is the large-scale retirement of its pastors in the next quadrennium (2013-2016). Over that period, there would be 10 pastors retiring, with more to follow in subsequent years. 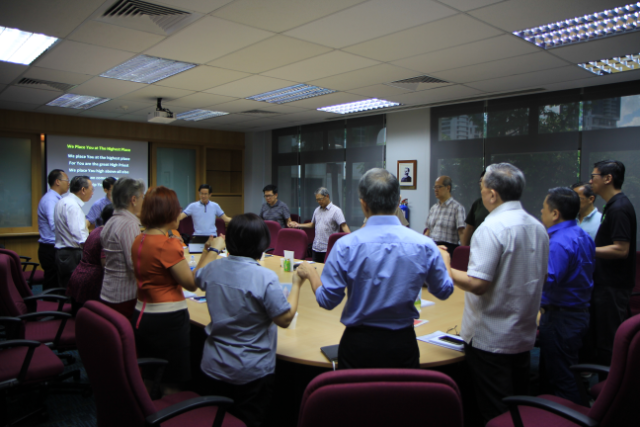 Other than encouraging churches to continue sending their members for theological training, which will be useful in marketplace vocations as well as in pastoral ministry, the Rev Dr Wee also urged conference boards and members to consider and formalise the re-employment process of pastors who have reached retirement age, or extend the mandatory age of retirement, in line with the Government’s steps on retirement matters. “A LADY OF PRAYER” – that was how Ms Patricia Wong Marn Lai (left) was remembered by her loved ones, friends and colleagues. 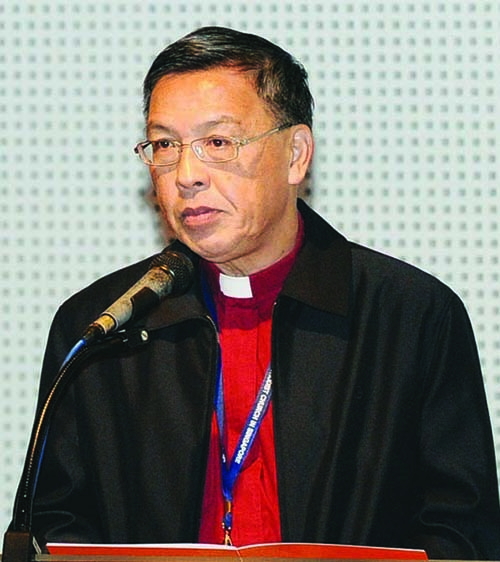 At the Opening Service of the 36th Session of Trinity Annual Conference on Nov 21, 2011, the Rev Paul Nga read out a memorial text in recognition of Ms Wong’s ministry. She had served as a Christian Ministry Staff (CMS) in Fairfield Methodist Secondary School for six years before succumbing to cancer last June. Her family and friends describe her as a cheerful, sociable person who was also faithful and meticulous in her work.